During my stay in Chicago (and the week before) I have been working my way through a pile several books high. And, because I never seem to get around to writing full book reviews…I’m going to give each book a little blurb all in one post. Brian Selznick started something new when he wrote “The Invention of Hugo Cabret,” a novel told as much as through pictures as text. I really enjoyed the book, the new format, and Selznick’s amazing illustrations. So, I was really looking forward to his new book “Wonderstruck.” I wasn’t disappointed. “Wonderstruck” is two stories, one told through text and one through illustrations. The two stories take place 50 years apart, but weave together to tell a touching story about family and deaf culture. I did like “The Invention of Hugo Cabret” a little more, but “Wonderstuck” was an excellent read. I especially like the format when kids are reluctant readers. The books look thick and daunting, but with almost more illustrations than text it can boost their confidence in their ability to finish a novel; all while telling a wonderful, engaging story. I have a confession to make. I really enjoy teen chick lit. And guess what, because I want to work with their intended audience, I can completely justify this guilty pleasure. 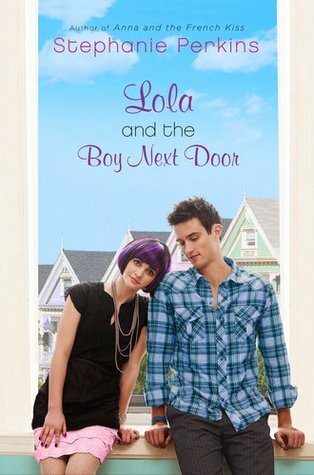 That being said…”Lola and the Boy Next Door” by Stephanie Perkins was an entertaining read. All in all…it was chick lit…fluffy, enjoyable…it wasn’t the best, but it was fun and quick. P.S. If this sounds like it tickles your fancy…read “Anna and the French Kiss” by Perkins first. This is kind of a companion novel, but can stand completely on its own if you don’t want to read both. First, a short rant: I really dislike, nay, hate books with a picture from the movie on the cover. They are two different things…don’t just assume one represents the other. But this is the what the library sent me. Ok…rant over. Isaac Asimov is one of the most prolific and well-known writers of science fiction and is considered one of the “big-three” authors of the genre. For some time I have wanted to read his books and I finally got around to it. “I, Robot” is a set of short stories framed within the larger story of the life of Dr. Susan Calvin, the first robopsychologist. The stories tell about the journey of robotics from the beginning. This book was the introduction to the three laws of robotics. “I, Robot” was not what I expected (blame it on the movie), but I did enjoy it. The earlier stories interested me more than the later ones. I enjoyed the puzzle the three laws of robotics sometimes presented to the characters. For those interested in classic science fiction it is a must read. I saw this book on Pinterest and the title hooked me right away. Then I read the synopsis and it quickly went on my to-read list. The long and short of it is, Dora is about to finish college, but still hasn’t really figured out what she wants to do with her life, who she really wants to be, or who she wants to be with. She is kind of drifting. But when her Grandmother, Mimi has a stroke; Dora comes back home to run Mimi’s vintage dress shop. It doesn’t take long for Dora to realize she needs to start making decisions about what she wants to be when she grows up. As Dora runs the shop she starts finding stories that are told from the point of view of a different dresses. She doesn’t know where these secret lives came from, but they provide a welcome and intriguing distraction for Dora, and an extra story for the reader. Overall…it has tragedy, romance, vintage dresses, a unique twist and enjoyable characters. It is a fun story about figuring out who you want to be. So remember how I talked about my guilty pleasure. Well…here is another one! 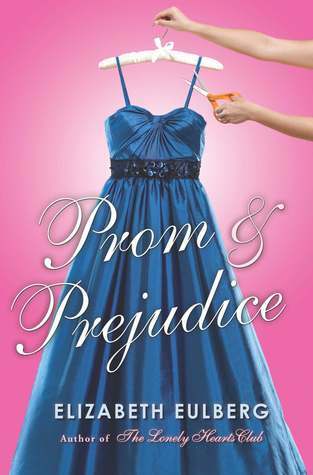 “Prom and Prejudice” is a just what it claims to be. Lizzie is at Longbourn, a prestigious girl’s boarding school on a scholarship. Darcy attends Pemberley, the boy’s boarding school nearby. Prom is coming…drama ensues. All in all…I liked it. As an Austen fan, I could appreciate it for giving a new twist to original story. In the realm of YA Romance, it could stand up with the others I have read. I think they need to have a copy editor take a look, but any teen romance reader should be able to enjoy it. I would recommend this book if you want to get a teen interested in reading Austen…kind of like a gateway book to the better stuff.